Pink Milk: Next Week Might Be Awesome, Right? Next Week Might Be Awesome, Right? Hello my lovelies. I hope you're well. Apparently last Monday was 'Blue Monday', the most depressing day of the year. What a load of old rubbish. Marketing ploys like that really irritate me and serve only to further deflate those of us who find the whole month a battle. I've come to the conclusion that January isn't, in fact, the best month to implement changes. No, January should be a hunker down and be gentle on yourself month. Resolutions are best saved until February. I'm sure the success rate would be far greater. So that's what I've decided to do. I'm glad this week is over. On the likeability meter, it rates pretty low. No particular reason, I suppose my heart's just not really been in it. I started the year with so much positive-thinking and gusto that I think, three weeks in, I've gotten a little flat, like a deflated balloon. But, it's Friday! Hurrah! Next week might be awesome, right? I have a random selection of photographs to share with you today. A little knitting. I made a Handbrake Cowl using the now-free pattern by Kay Jones, of the Bakery Bears podcast. I'm so proud of it and am wearing it right this minute. If you're a newbie knitter and fancy tackling your first grown-up pattern, I can't recommend it highly enough. It's a real confidence booster. The pattern also includes links to a number of YouTube how-to clips which are excellent. I used exactly one skein of Madelinetosh Vintage in 'Posy' which I bought from Loop on my birthday. 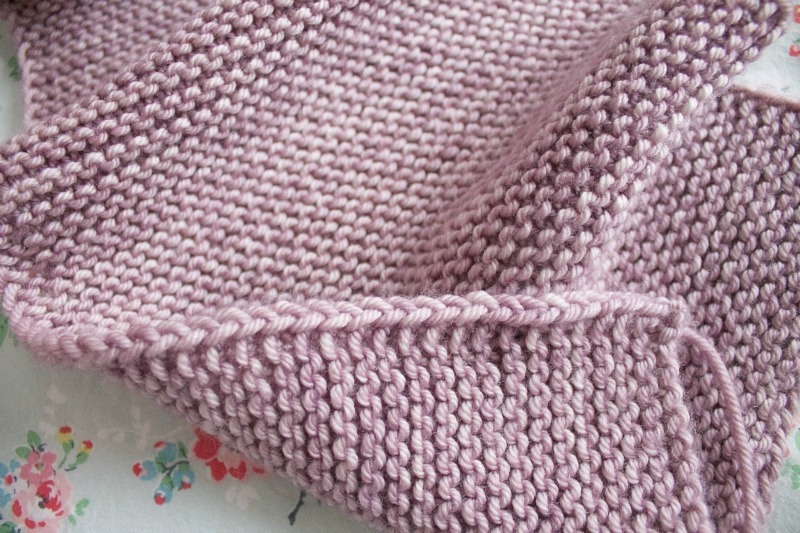 I'm also working on a simple garter stitch scarf using Madelinetosh Vintage in the 'Sugarplum' colourway. Its uncomplicatedness is helping my tension hugely. I'm particularly pleased with the neatness of the edge too. Do you see that lovely chain effect? After the penultimate stitch of each row, you bring the yarn forward and slip the last stitch purlwise. Clever, huh? A little stash enhancement. Ahem. What can I say? I'm experiencing a Madelinetosh yarn crush. 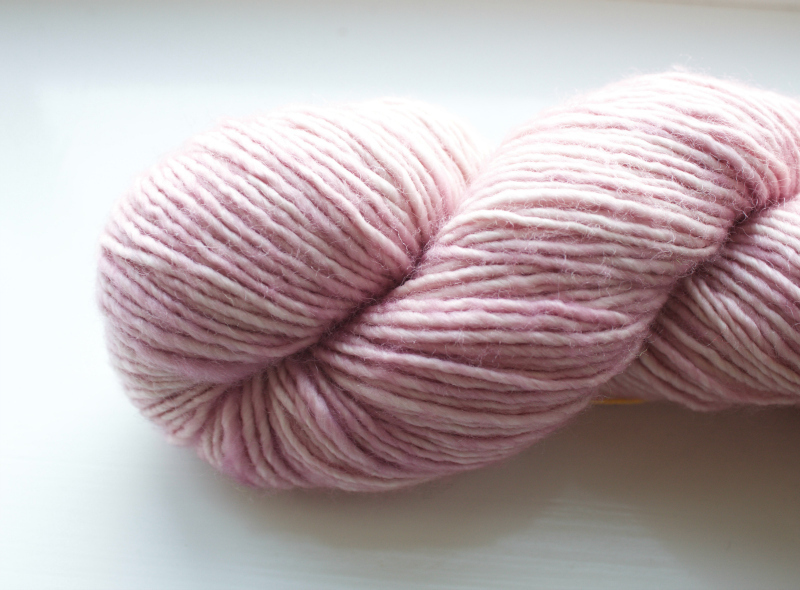 I've bought two skeins of Merino DK in 'Pretty In Pink' and I'm planning to knit a simple shawl. It's gloriously soft. I know it's not cheap but I subscribe to the theory that using good quality yarn when learning to knit or crochet actually makes the process so much more enjoyable. 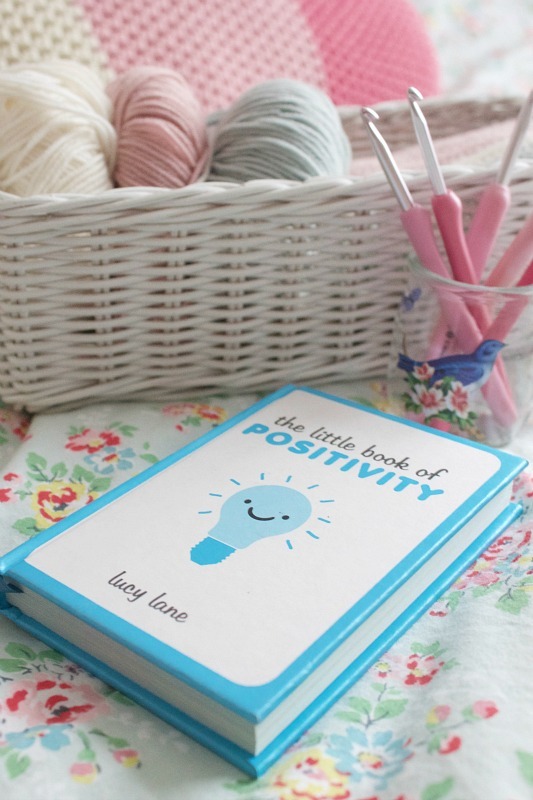 My daughter's best friend bought her The Little Book of Positivity for Christmas. Oh, it's the dearest little thing. In fact, I had another flick through it this morning. It's full of handy tips to boost your happiness and includes some wonderfully uplifting quotes. ..
"If you love life, life will love you back." It includes advice on how to deal with negative thoughts and helps you to be positively assertive and stresses the importance of a good diet, me-time and quality sleep, etc. All things we may know but can overlook sometimes. Hyacinth bulbs in latte cups. Just because. I'm missing my anemones though. 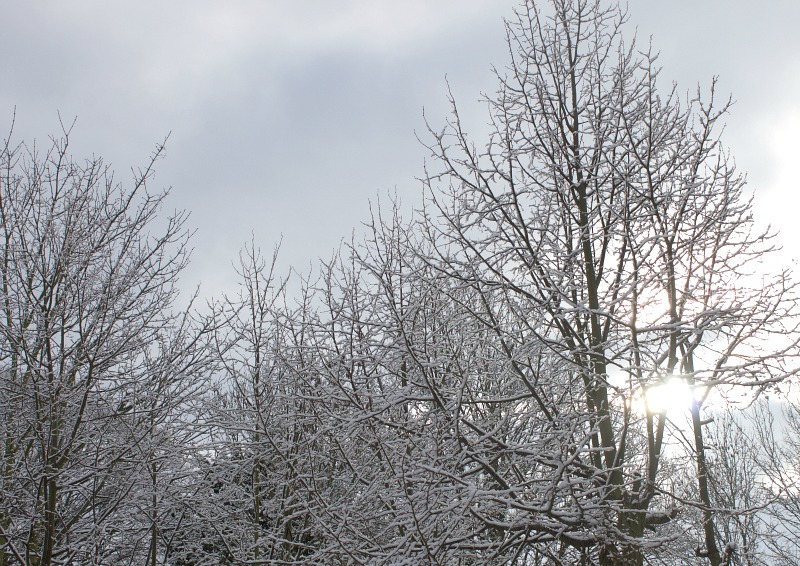 Snowy trees from last Saturday. Useful for when D and I have the "when did it last snow?" conversation! Have a wonderful weekend. Crochet chat next time, honest. Mmm, Madtosh is lovely isn't it?I made myself a shawlette with the vintage in that colour and it is so soft. Definitely agree with the hunkering down until Feb or possibly March! 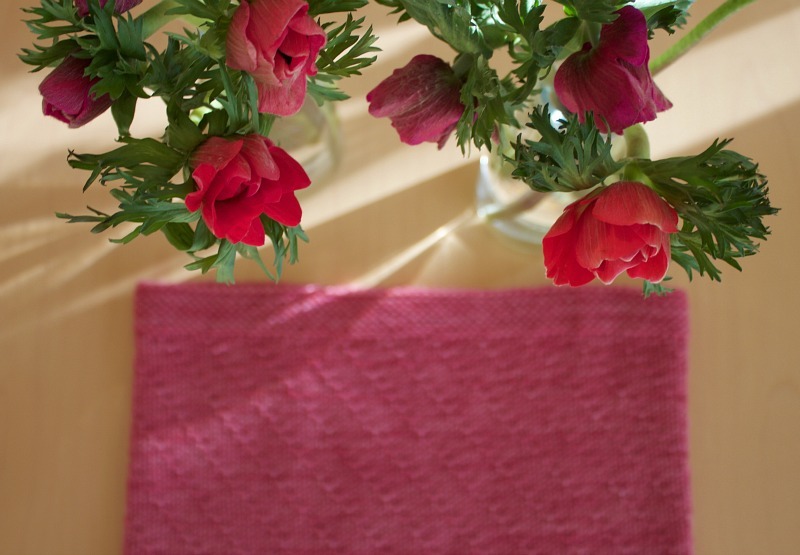 Stunning pictures and gorgeous knitting, a real boost on a cold and grey January day! Such pretty pictures Heather. Your cowl is beautiful - I think we need a pic of you modelling it! I love the bulbs in those gorgeous latte mugs - definitely tempted to steal that idea!! I look at pictures and they give me posiive energy and make me smile. All projects look lovely - pink is my favourite colour. Yes, a good quality yarn is something that makes the work nicer and it is worth invesing in it. Wish you all the best! 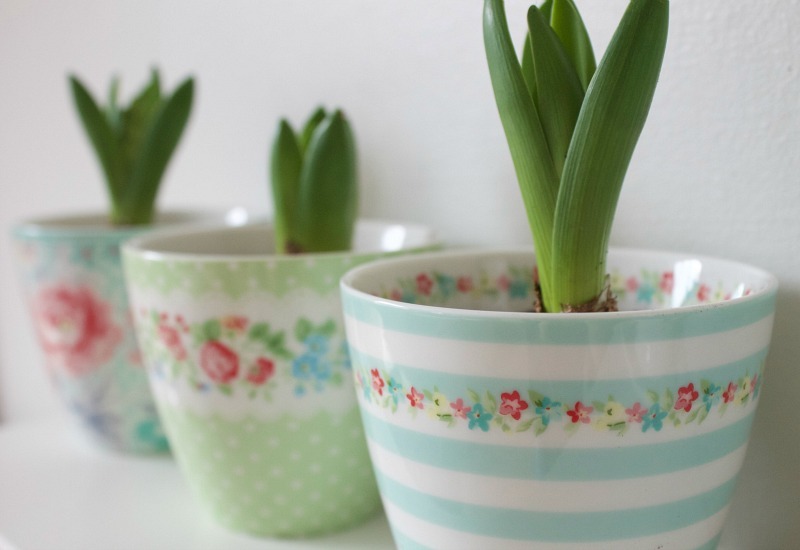 The Hyacinth bulbs look lovely in your pretty cups. Hopefully not long to wait until they open. Hope the coming week is a better one for you. 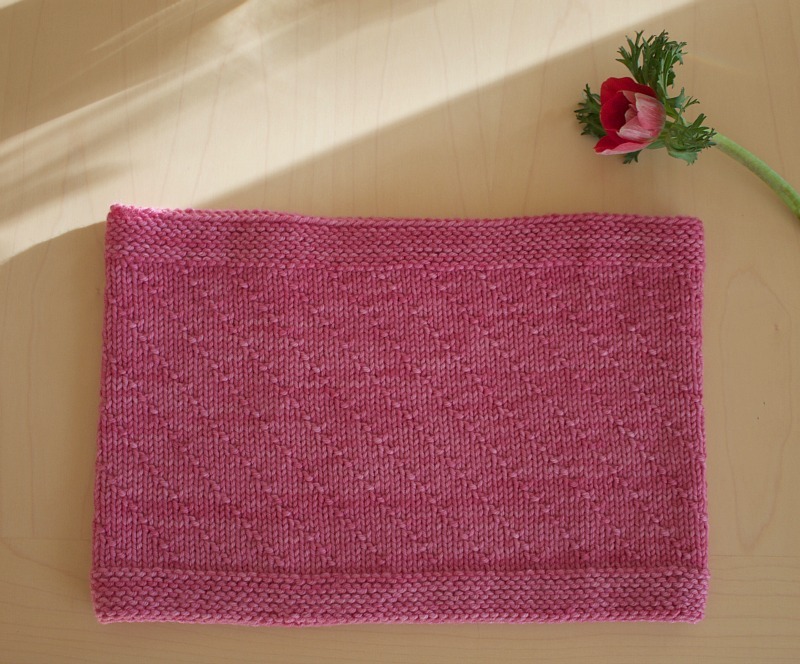 That garter stitch scarf looks amazing! As does everything else of course, but that is just speaking to me at the moment and it's such beautiful yarn too. It always brings me joy to look at your colorful photos. I find color is a good way to give me a lift. I hope this week IS awesome for you!! Hello Heather, your photos are full of loveliness and certainly help me forget to be negative, and help me feel excited and positive! I love the pink-ness!! I made the handbrake cowl for my husband and son, I have also earmarked some stash yarn I have to make one for myself - it will happen at some point! As always Heather... a lovely post... I love all of your beautiful pictures. I can always rely on your blog for an uplifting dose of pastelly prettiness, and this post is no exception. Your pictures are gorgeous, and your knitting is very neat indeed. Garter stitch is my favourite stitch and very relaxing to do. 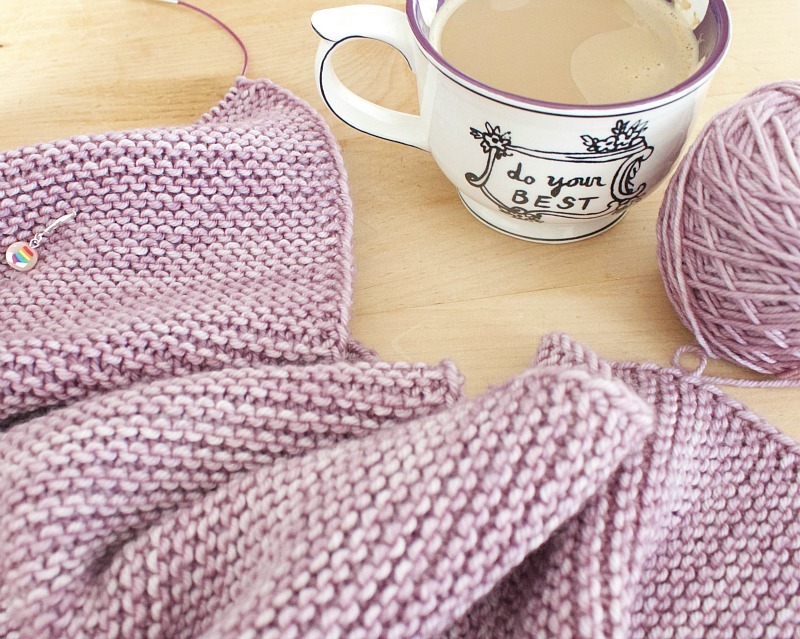 I can see why you've fallen for that yarn, and I love the latte mugs too. Hope the coming week is a good one. Heather, you warm my heart with your positive posts! Thank you so much! As usual, you cheer me up, when I desperately need it. How was your weekend, by the way? I tried to knit stockings, but my mood was so uncontrollable that I could only write some rather gloomy poems. Wow! I am more than happy to uncover your site. Your knitted stuff looks amazing. Thanks for taking the time and sharing with us such an informative and great ideas. I hope you will continue to amuse us with other great ideas. Please keep it good posting. If you need any paper help - http://www.custom-paper-writing.org may help you at any suitable time!